break out the booze, if that’s all there is. In the classic scene from Dickens’s masterpiece Oliver Twist, Oliver is emboldened by hunger and proclaims to the headmaster, “Please, sir, I want more!” Women, too, are emboldened by hunger; and they also feel that they want more. Unfortunately, their hunger is more diffuse than hunger for gruel, and many are not exactly sure what it is they want more of. Until several generations ago, the lives of most women were quite circumscribed. Their options were limited and most of the outcomes of their lives were determined by the choice of a husband, a choice which, as often as not, was practically made for them. The expectations of mother, father, and husband were reinforced by the dictates of religion and by well-established custom. While such women may or may not have been happy with their restricted horizons, most of them seem to have been resigned to it. They had minimal aspirations; and when they did aspire to life beyond the conventional one, they received little, if any, support. There were early feminists and later suffragettes, but most women lived quietly within the confines of Kinder, Kirche, Kūche—children, church, kitchen. The first wave of feminism, which brought the vote and other legal reforms, saw the beginning of women working for pay outside the home. The second wave, which washed over the country in the 1960s, created a generation of women who not only had the Pill but were led to expect that their lives would blossom beyond the confines of “the feminine mystique.” Betty Friedan posited that prior to the 1960s, an idealized image of femininity, which she called the feminine mystique, permeated society. According to Friedan, this ideal image served to confine most women to the narrow roles of housewife and mother, limiting their ability to realize their full human potential and ultimately causing them to feel unfulfilled and unhappy. 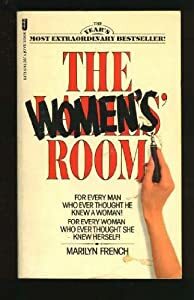 It was “the problem that has no name,” as women did not recognize “the feminine mystique” as the source of their discontent.